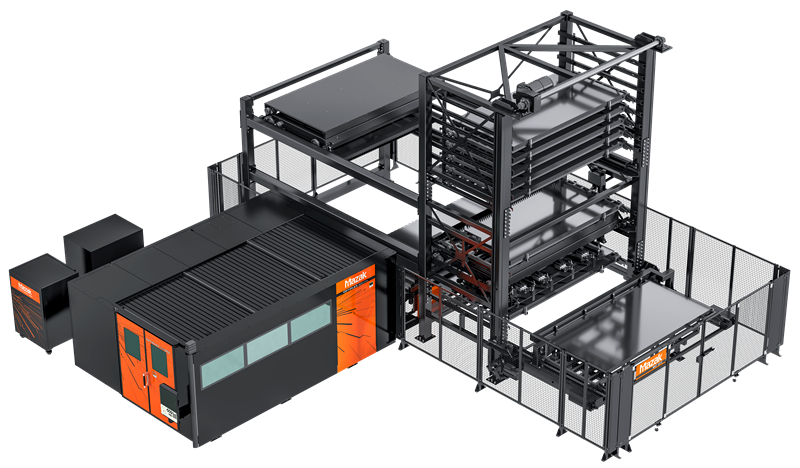 Mazak’s MODULAR COMPACT series of automation is the most flexible solution for meeting difficult customer needs. A wide range of peripheral devices and functions expand the range of applications including conveyors, over/under carts and labelers. Systems feature a small footprint and highly customizable configurations. 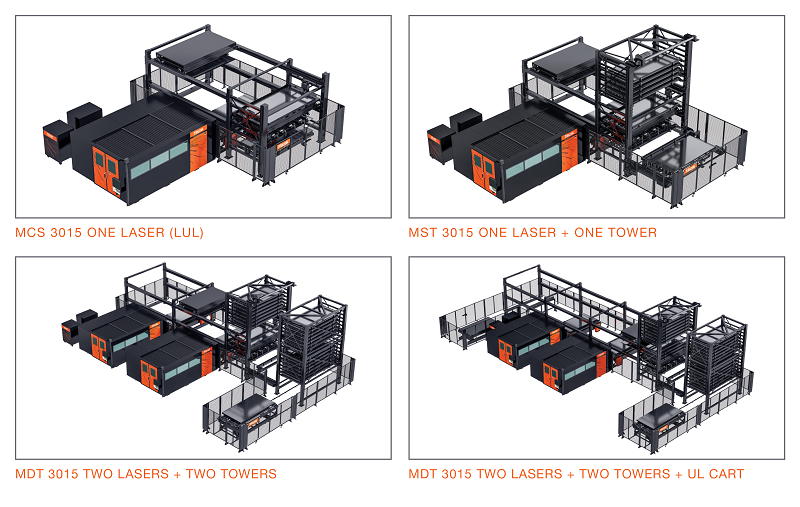 MODULAR COMPACT systems are available in a variety of 3015, 4020 and reverse flow configurations. They can be integrated into an automated storage/retrieval system for even greater capacity.